The Rizen (2017) is an excellent name for this film as it features creatures who reanimate their victims, giving them a second chance at living, albeit as a blind, bloodthirsty being. The film is set in 1955. NATO and the Allied Forces have been conducting secret, occult experiments in a bid to win the Arms Race. Their efforts have finally paid off, but with dire consequences. They’ve unwittingly opened a dark portal — releasing hell upon the world. With the military powerless to control the horde of ravenous creatures that have taken over, it’s up to one brave woman to save humanity. There are a lot of excellent things to be found in this old school, science fiction/action/horror film directed by Matt Mitchell, written by Matt Mitchell and starring Sally Phillips, Bruce Payne and Adrian Edmondson. Unfortunately though, when weighed with the film’s lapses in excellence, the scales never tip to a fully favorable review — instead remaining evenly balanced. Among the notable highlights include the exceptional cinematography, thrilling action sequences and fight choreography, solid practical effects and creature design and, most importantly of all, a strong and confident female lead. Laura Swift is compelling as the main protagonist, Frances, who wakes up in a mysterious underground bunker with no idea who or where she is. These details are slowly revealed through the film’s run time, but Frances’s bad-assery and resourcefulness is shown from the beginning when she bashes in the head of whatever is dragging her with a rock! Swift, is an accomplished stunt woman and actress, though her acting sometimes has the quality of theater acting and not film. There’s a sense of space in her performance, a sense of unreality that ultimately lends itself to the increasing craziness of the script. The most major lapse of excellence in The Rizen was the decision to make the only black man in the core group of characters the fraidy-cat. It’s a trope that should be retired and a role that could have easily been given to the other man in the core group (who is white). The fact that he’s smart, sweet, and attempts to sacrifice himself for the group in the end doesn’t negate this uninspired aspect of his character. 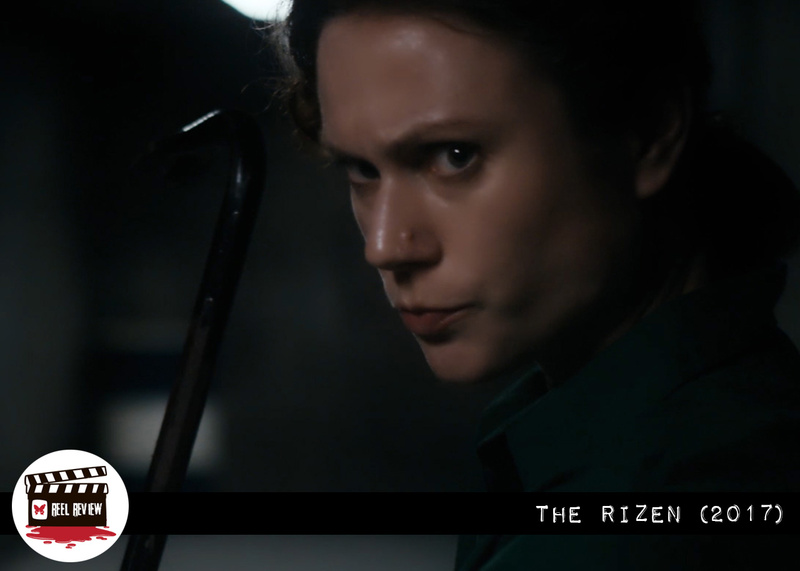 Speaking of uninspired, some of the acting and dialogue in The Rizen is just that, while some of it is…excellent. Who would have guessed? Pacing is also an issue in this film, however the multitude of flashbacks and action sequences save this aspect of the film from becoming a major lapse of excellence. I only felt the film drag a couple of times (mainly in the, thankfully, brief and painful romantic scenes), but before I could grumble it picked its feet back up and made a dash for the end. And what an end it is. Lovecraft fans and fans of Stranger Things (specifically the character 11) will most likely sing its praises till the old ones return to rule. But those who do not dig Dagon and other such works of weirdness will at the very least feel perplexed and quite possibly disappointed. 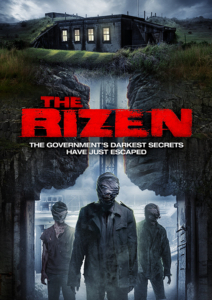 Ultimately, The Rizen sits in a gray, grimy blast bunker full of questions like “should I watch it?” that will never be satisfactorily answered unless individuals take the time to venture down its uneven, creature-infested corridors.